​Vitamin A; the key ingredient of every Environ facial. - Assits in reducing the development of potential skin cancers, giving you greater peace of mind. 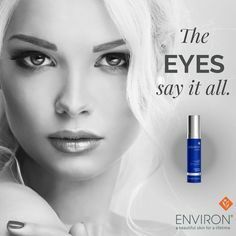 With these amazing benefits and Environ’s industry leading Vitamin STEP-UP SYSTEM™, skin can be reborn and look healthy and beautiful for a lifetime. Specific for skin problems, pigmetation and damaged skin. Gently peels to destroy bacteria, removes dead skin cell, calms skin and restores hydration and smoothness. Using unique serums this highly effective treatment targets the same chemical reaction as injecables. Peptide packed treatment to boost collagen production resulting in plumper more radiant skin. Perfect for mature skin and photodamaged complextions. Perfect antidote for dry lackclustre skin. Plumping and firming uing hyaluronic acid which is able to hold 1000 times it's own weight; results moisturised glowing skin. Using a roller with needles that pierce the dermis, this in turn generates collegen and elastin and releases growth factors. Uneven skin tone, Slackened skin. Non Laser. Non IPL. Non electrolysis.